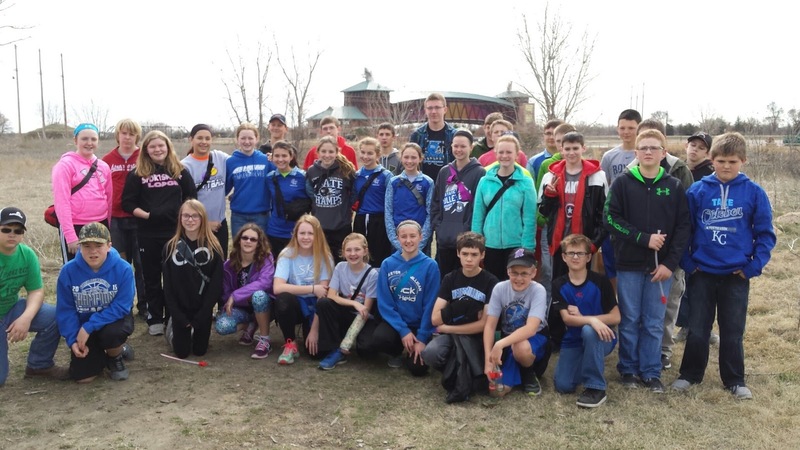 The Exeter-Milligan 6th, 7th, and 8th graders went to the Great Platte River Road Archway Monument in Kearney on March 14th when the Sportsmanship Rally that they were to attend at UNK was cancelled. The next day I had some of the 7th graders write about their trip to practice their writing and to show writing across the curriculum (part of our school improvement goals.) They wrote their paragraph on a Google Document and shared it with me. They did some editing/revising and created a final copy. This week we are starting NeSA testing for grades 7, 8, and 11 in Math. In the next few weeks we will also be doing Reading and Science. There are 2 math tests, 3 reading tests, and 2 science tests (for grades 8 and 11.). Students who are identified as needing special education services may be pulled out to receive accommodations when taking their NeSA tests. These may include reading the questions and possible answers, calculator use, distraction free environment, frequent breaks, and clarify or repeat directions. During the reading test, only the questions and possible answers may be read, not the passages themselves. The students may also read the passages orally to us.